In a tweet there was a photograph of a crowd of excited people, all brandishing cellphones, except for this one old woman. Instead of just giving the link in the tweet, I could display the photograph here, but I am not going to. I gather many people liked it. I imagine they liked it in a self-conscious way, seeing themselves in everybody but the empty-handed woman. her kids love the fact that the calculators are clunky and tactile, an opinion anyone who misses the tactile, QWERTY keyboards of earlier smartphones shares. “The learning curve is higher, but the buttons…they love pushing ‘em,” Yenca said. I still use one of the “earlier smartphones”; it is the only mobile phone that I have ever had. It has a camera, but I rarely use it. I do often carry a dedicated camera, in case there is something that seems worthy of being photographed. But snapshots mean little without words, and writing those words is not always a labor that I want to engage in. Still, I have found myself with a number of photographs of this or that object of interest. Here is a selection from recent weeks, in chronological order. 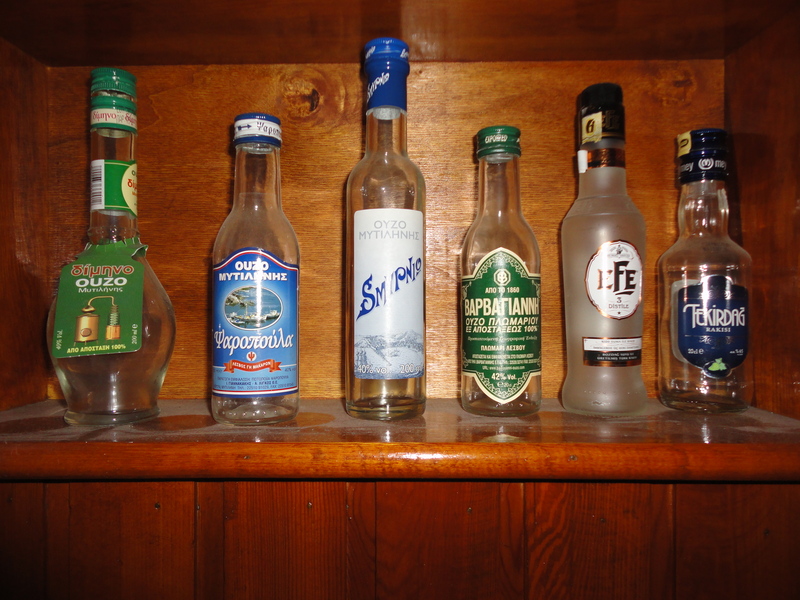 When Ayşe and I were in Altınova in August, I almost decided to take home our collection of Lesbian ouzo bottles. I had brought them by ferry from Lesbos in 2007. When we go to Altınova now, the bottles are a reminder of a pleasant time once had across the water in Greece. Back in Istanbul, I have occasionally wished to have this reminder present. However, the bottles will stay in Altınova at least another year. When it came time to leave, I could not bring myself to find room for the bottles in my backpack. I found room for them only on the memory card of the camera. In the summer of 2014, the old school behind our flat was torn down. I wrote then about the unsafe conditions for the demolition team. The new school is going up under similar conditions. I watched a load of steel reinforcement bars dangle from the end of a crane. None of the workers receiving the load of bars was wearing a hard hat. It has been interesting to watch the new school go up. It is much larger than most apartment buildings, but much smaller than some of the real high-rises around, such as the ones at the top of the photo. From a distance, the workers would seem to work fairly independently. But they ought to be experienced and skilled. I might have thought the experience would bring with it a recognition of the value of safety measures like hard hats. In any case, I hope the workers are satisfied to produce something so tangible as this school, even if it only takes away more space from an already-overcrowded neighborhood. My office at the university is opposite the building of the old Bomonti beer brewery. The building has been undergoing refurbishment since we moved to Istanbul four years ago. 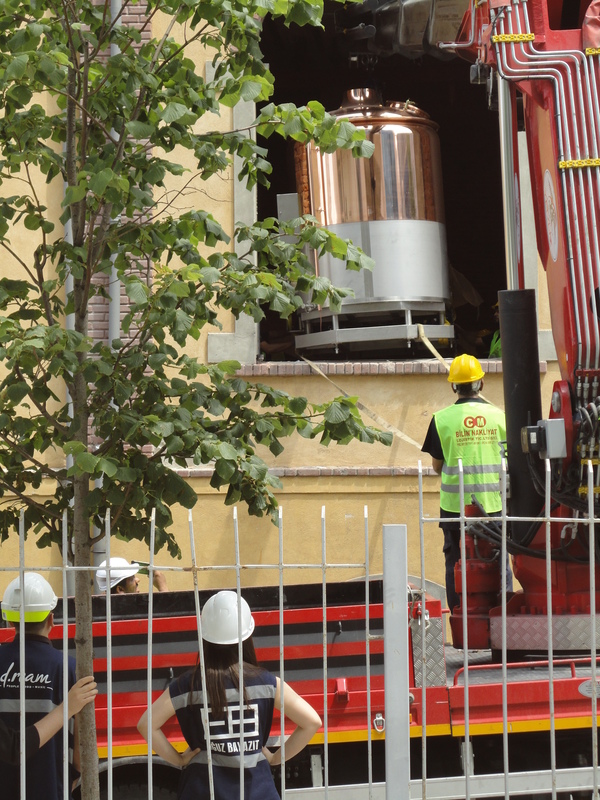 Back on June 17, a copper beer kettle was delivered through a window by means of a crane. The workers involved in this operation did wear hard hats: I figure it is because they worked for a firm large and experienced enough to care about such things (or to be inspected by officers who care about such things). Now the old brewery has been reopened as the new home of Babylon. 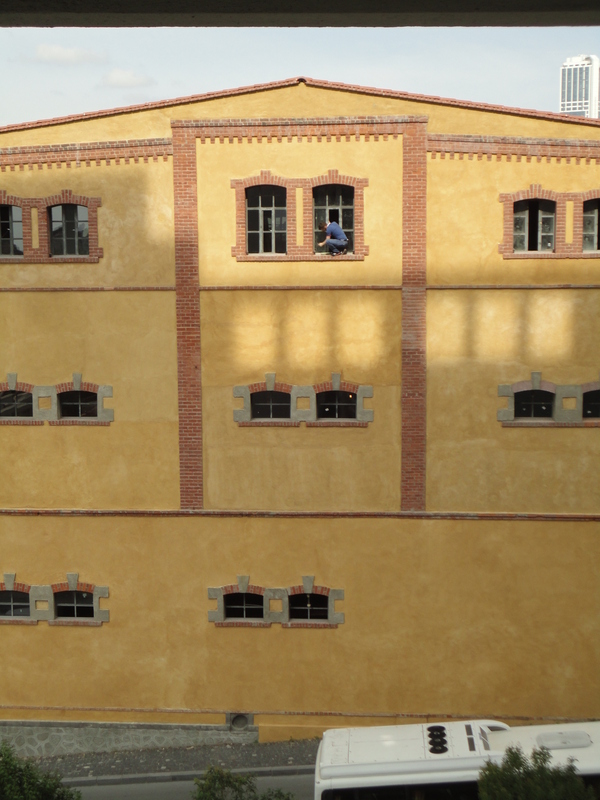 A worker was recently cleaning a top-storey window. Perhaps he was scraping the stickers off the new glass; but in any case he appeared to have no safety harness as he stood on the sill outside the window. On the day after the window cleaning, Ayşe and I visited the exhibition space in Tophane called Depo. The name comes from the French depot, because the space is in an old tobacco warehouse, or tütün deposu. The old wooden floors of the warehouse have been retained, and it is good to walk on them. 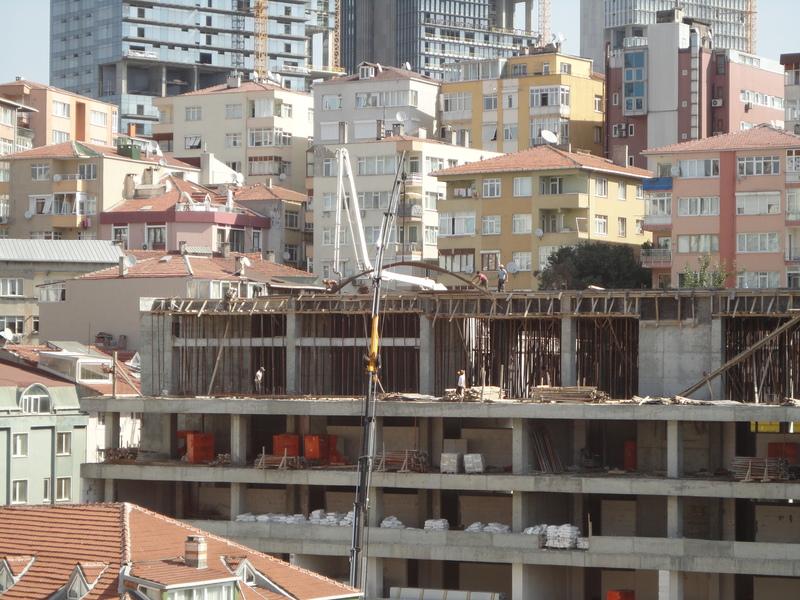 When we visited, part of Depo was being used for the 14th Istanbul Biennal, and specifically for a work of Francis Alÿs. The artist has his videos on his website, but unfortunately I do not see the one that was showing in Depo. That work, black and white, is set in the medieval Armenian city of Ani. The ruins of the city now lie on the Turkish side of the border with Armenia, a border defined by a river at the bottom of a canyon. In the video, children hide among the ruins of Ani, playing bird calls. The children become more visible, and the birdcalls become more harmonious and rhythmic. Such is half the video, actually; the other half shows a drawing of Ani as it must have been, with narration. At Depo, the birdcalls used by the children in the video were themselves on display, but they were not homemade or anything; they were commercially available calls, presumably for the use of hunters. 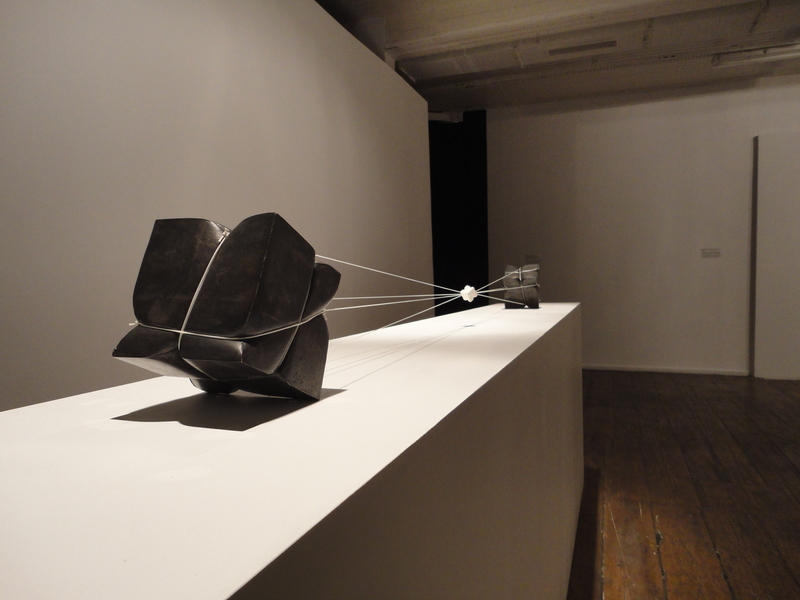 Upstairs at Depo was the exhibit called Grandchildren: New geographies of belonging. The artists on display were from the Armenian diaspora: thus they were descendents of people who were Ottoman citizens before 1915. I had met already one of the artists in person. Maria Bedoian, from Buenos Aires, had been sitting outside Depo on Monday, September 7, two days after the Biennial opened. The venues of the Biennial would normally be closed on Mondays, but this first Monday was an exception. So the Francis Alÿs exhibit was open, but Grandchildren was not—except for Ms Bedoian’s work, because it was painted on the outside of the building. 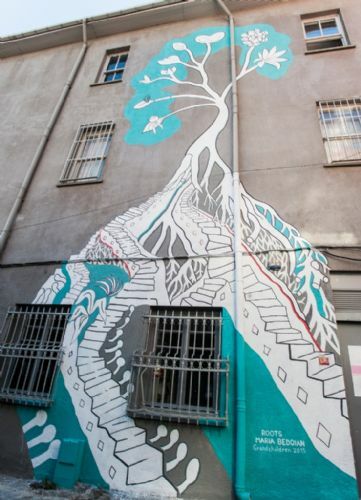 Ms Bedoian’s work was called “Roots,” and evidently one may take it as a reminder of all of the people who have roots in what is now Turkey. I told the artist that her painting suggested to me a peacock. I had in mind the birds in gold on a wall of Whistler’s Peacock Room at the Freer Museum in Washington. 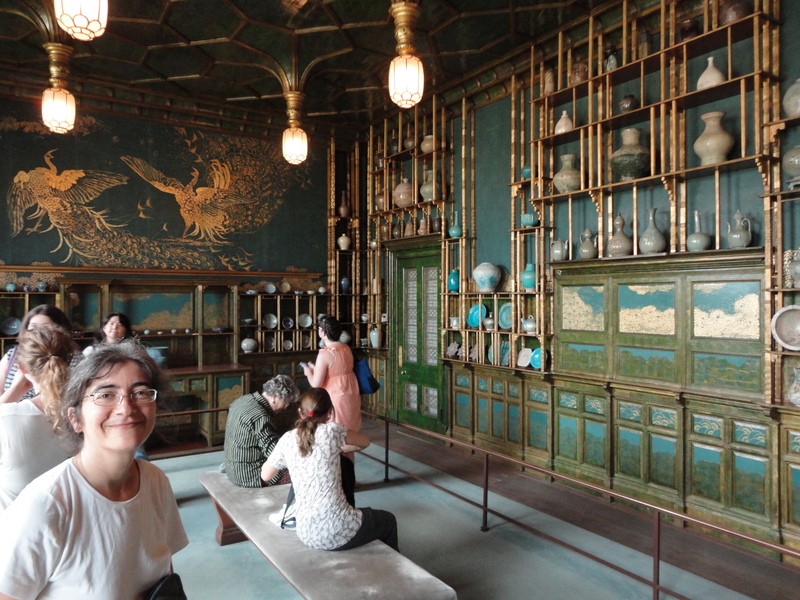 Two years earlier, Ayşe and I had been able to visit this amazing room on the one afternoon a month when the shutters were open to let natural light in. Perhaps the symbolism hardly needs explanation. A small object is squeezed by bonds around two large objects that are leaning away from one another. A week later, the weather in Istanbul had started to cool, but it was hardly below 20 degrees Celsius (68 degrees Fahrenheit). It was not fire weather, in my opinion. 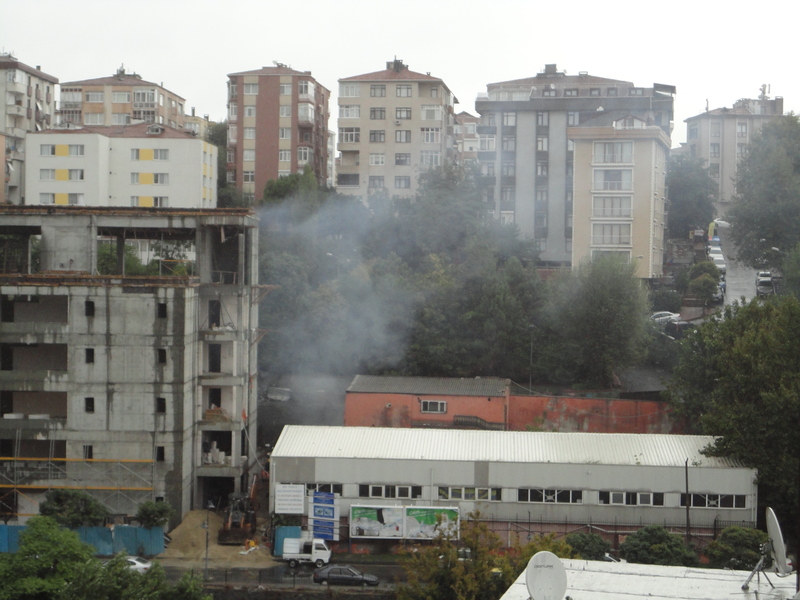 Nonetheless, the construction workers at our local school were apparently burning some of Turkey’s dirty coal, if not trash. This makes me think the workers come from a village whose air in winter is thick with coal smoke. They seem to camp out at old buildings of the school, if not in trailers. They could be Syrian refugees. 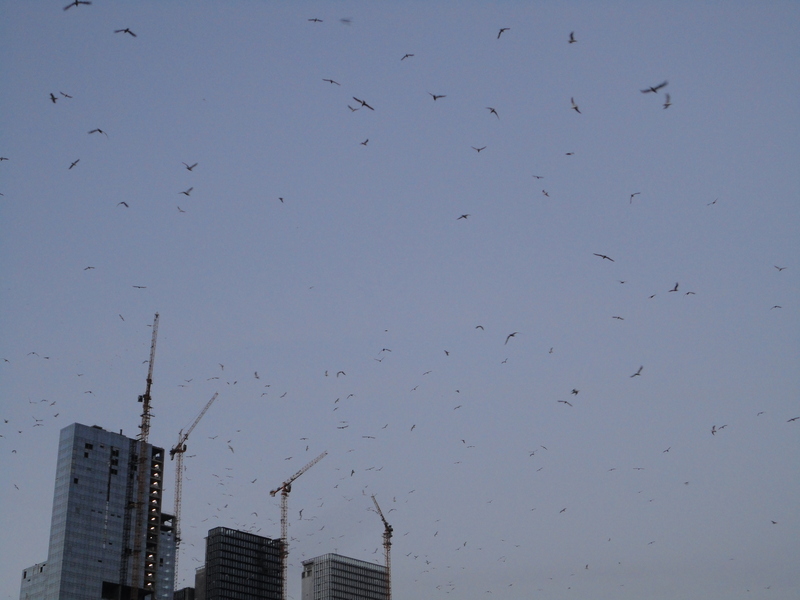 Sometimes the seagulls off our balcony flock in such numbers as to remind us of Hitchcock, if not Daphne du Maurier. It might be surprising that so many birds can live in a city choked with concrete; but then gulls live off the sea, not the land. Every month from my window, because I am up before dawn, I have the spectacle of the rising (but waning) crescent moon. 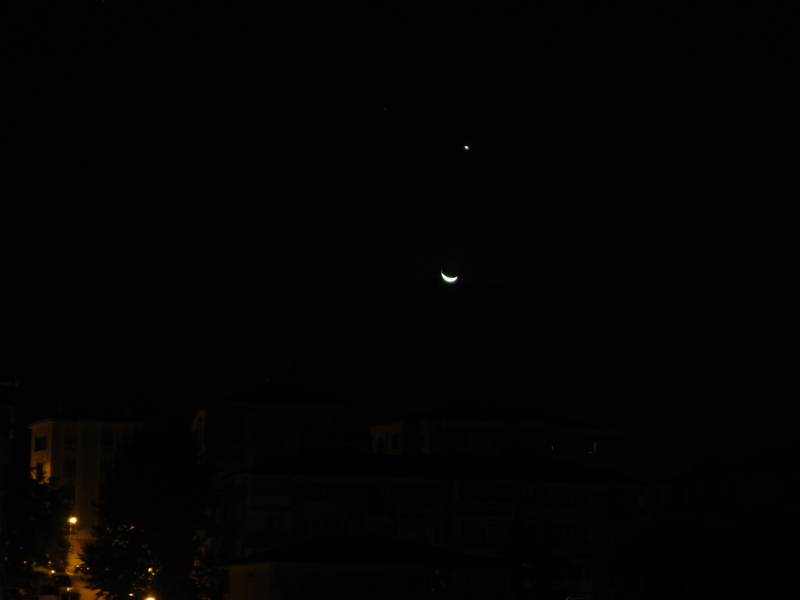 Sometimes, as at the end of the last lunar month, the moon is in conjunction with Venus. 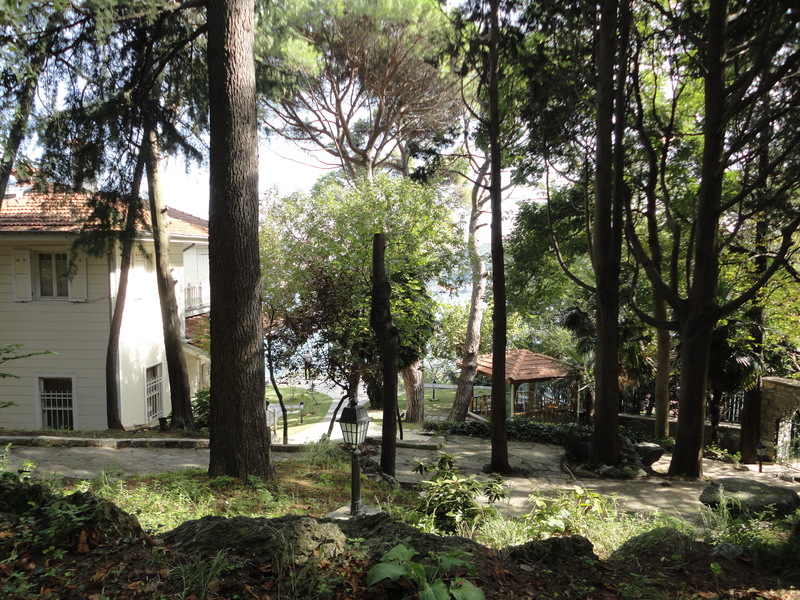 During the fifth session (October 8–10) of Models and Groups Istanbul (held twice a year), I was finally able to visit the house of Tevfik Fikret, called Aşiyan, now a museum run by the Istanbul municipality. 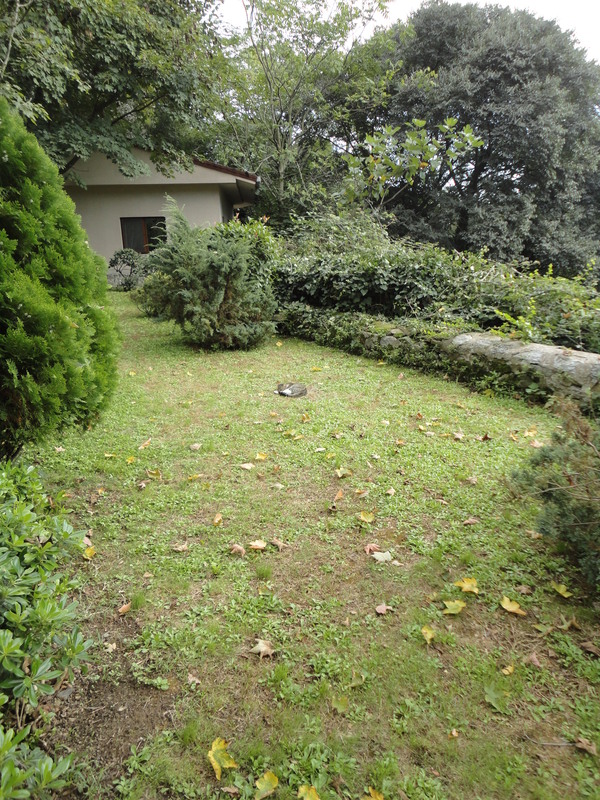 I had tried to visit once with friends from abroad, but the house was closed for renovation. The renovation seems to have been quite successful; but the most awesome feature of the house may be its view. The morning of Saturday, October 10, 2015, was when about a hundred people were murdered by two bombs at the Ankara train station as they gathered to demonstrate for peace in Turkey. We learned about the bombing with our mobiles, during or after one of the talks at our conference. After lunch, I went again to Aşiyan, to sit peacefully. Then other visitors came and stood behind me, talking about the dog nearby, who was bothering nobody. 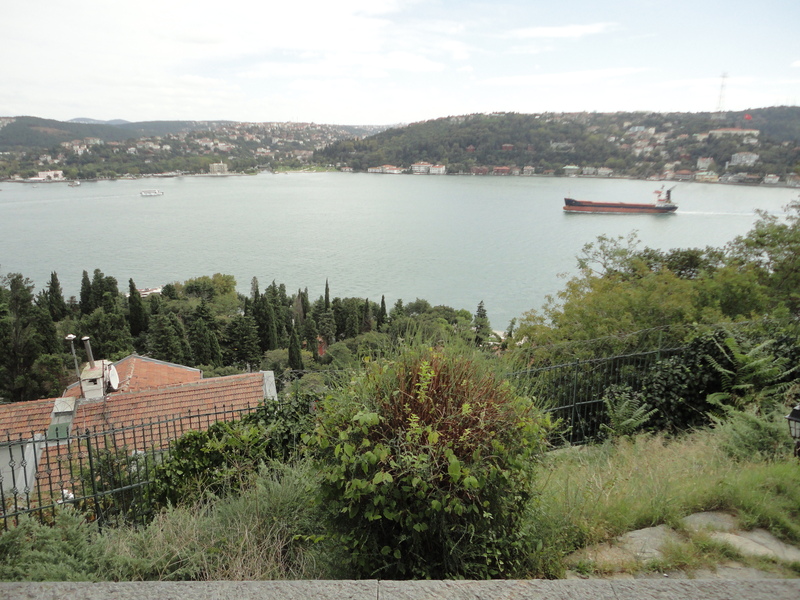 In fact the direct route between the University and Aşiyan was closed on a Saturday, and so one had to take a longer route, down to the road behind the cemetery that surrounds the Rumeli Hisarı. 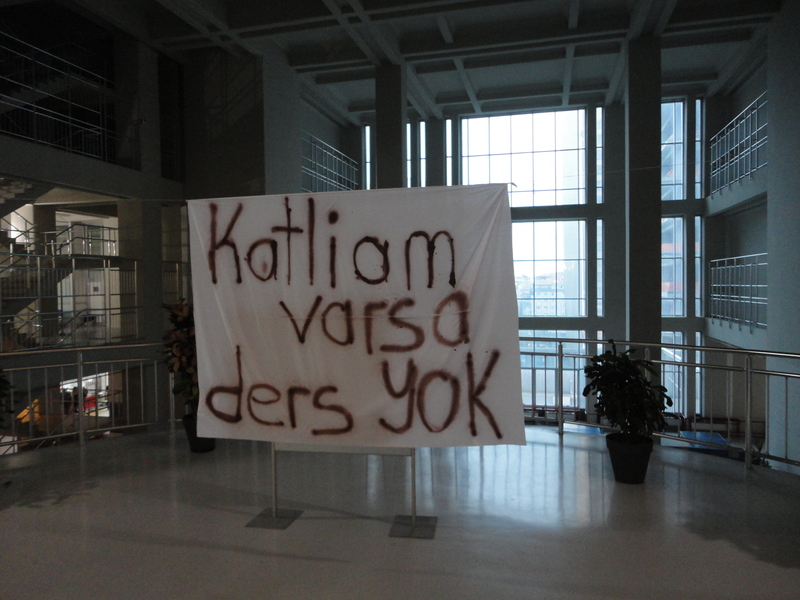 Katliam varsa ders yok. Yani (bence) katliam varsa, ders olmamış olmalıdır, çünkü gerçek derslerde savaş yoktur, ve tek kavga bilinmeyenlerledir. // “When there is a massacre, there is no class.” That is to say (in my interpretation), when there is a massacre, there must not have been class, because in real classes there is no war, and the only struggle is with the unknown. I think it is a mistake to liken the relation of students to teachers (or to the university in general) to the relation of workers to employers. I made myself available in case students did want to come do mathematics. Some did, most did not. I hope those that did not, participated in some kind of protest of the bombing (and of the lax security or intelligence, at best, that allowed it to happen). But transportation is such a pain in Istanbul, students may just have stayed home. Aşiyan has a room devoted to Nigâr Hanım, “Madam Nigâr, also known as Şair Nigâr, “Nigâr the Poet.” Apparently the many volumes of her diaries are housed at the museum. She wanted them published, fifty years after her death, which happened in 1918. Apparently one volume was published in the 1950s, but nothing since then. I wonder why that is. The diaries could have the interest of Thoreau’s Journal, which is what I was reading in the summer. The environments described would be completely different; but Nigâr may have been isolated like Henry David nonetheless. 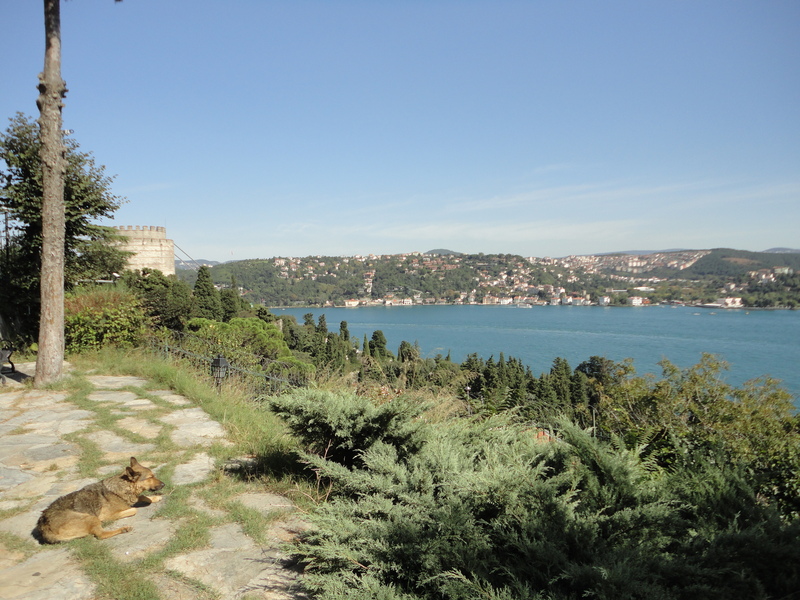 This entry was written by David Pierce, posted on October 13, 2015 at 2:02 pm, filed under Facebook, History, Istanbul, Nature, Tourism, Visual Art and tagged 2015. Bookmark the permalink. Follow any comments here with the RSS feed for this post. Post a comment or leave a trackback: Trackback URL. 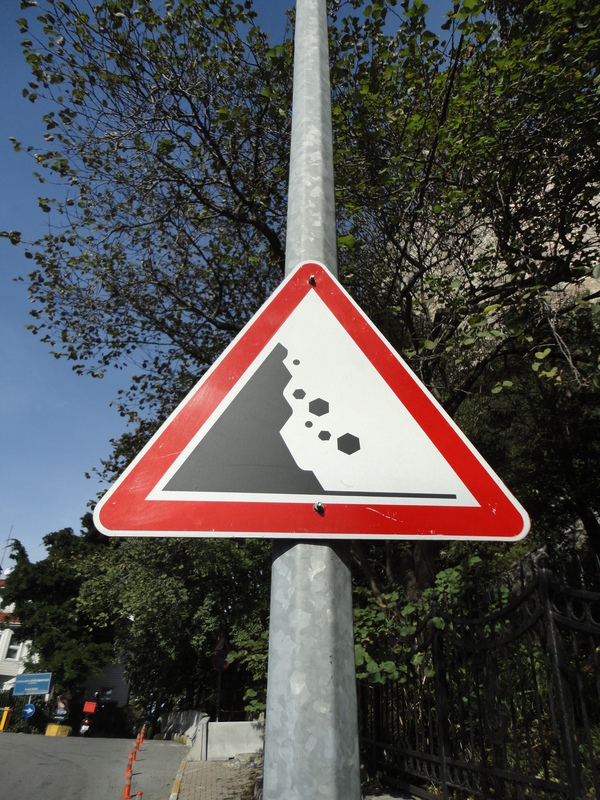 Falling hexagons was particularly amusing.